First I will talk about Mantras that don't need Diksha. These are Mantras which have special importance in our religion. 9. Mantra with one Beej, 2 Beej or 3 Beej Mantras in it. 12. A 3 lettered Mantra also does not require Deeksha. All the above mentioned Mantras don't need Diksha and can be chanted by anyone. Now I will share about Mantra favourability. Not every Mantra is suitable for a person. The knowledge I am sharing here is given in few books but I am still sharing so that one does not have to buy numerous books about our religion. 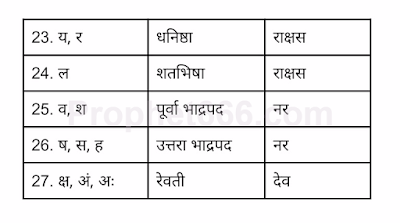 There are various Chakra one needs to see before starting his "Mantra Sadhana". First and foremost important is Kulaakul Chakra. This Chakra has to followed for every god or goddess except the following- the 10 Mahavidya, the Shri Vidya Goddesses namely the 3 Tripur Sundaris, Svapnaavati Madhumati. Other than this, Rakt Kaali, Mahishaasurmardini, Durga and Pratyangira also do not come under this Chakra. 1. The procedure is very simple. One must first look at the first letter of his name and then look at the first letter of the God's name. If both of them fall in the same column, it means that the God is of your Kul only and his Mantra is extremely favorable. A special and important thing one must not forget is that every God has various forms. And every form may not be favorable. For example, Kali has more than 10 forms and every form may not be favorable. Hence, in such a case, the Sadhak must first look at the Viniyog of the Mantra he wants to do Sadhana of. Then, in the Viniyog, he must look at the name of the God given in it and then utilize the Kulaakul Chakra. The Mantra Sadhana cannot be done with a Mantra which doesn't have Viniyog. So if you are unable to find Viniyog of a Mantra, you cannot do the Sadhana. The Aakash Varg is favourable Varg for all. Remember that the Vidyas I had mentioned in the starting dont require Kulaakul Chakra introspection but you still need to check other Chakras I am mentioning ahead. If the result is indifferent. I.e your and your Mantra Devta's Kul is neither friendly nor enemy, then the Mantra must be considered as zero effect. i.e. it will not give any benefit. For Rashi Chakra, one must look at his Rashi and then the Rashi of the God whom you found in the Viniyog. 1. If the God's Rashi is 8th or 12th from your Rashi, then the Mantra is not favourable. 3. 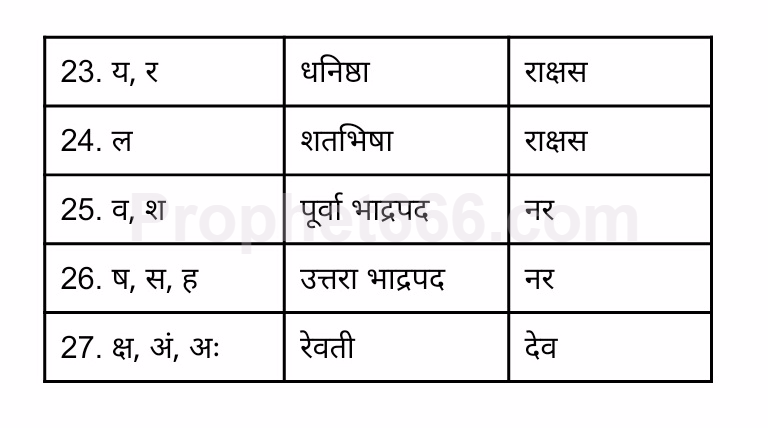 If the Mantra is 2nd, 6th or 10th from your Rashi, the Mantra will give benefits but not complete benefits. It may only give limited benefits. 4. If the Rashi of the God is 3rd,7th and 11th from your Rashi, then the Mantra is very beneficial and it's chanting will benefit not only you but also your whole family. 1. The counting of Rashi should be started from your Rashi itself and not the Rashi ahead of yours. This Chakra helps to know whether the Gana and the Nakshatra of the Sadhak and God is favourable or no. First, he must look at his own Gana in the table and then God's Gana in the table. After Gana(गण) Chakra, one must look at Nakshatra Chakra. 1] If Sadhak's Gana is Maanav or Dev, then the same will be beneficial. Rakshas Gana will be harmful. 2. If the Sadhak's Gana is Rakshas, then only Mantras of a Rakshas Gana will be favourable. Dev and Manav Gana Mantras well be harmful. A. 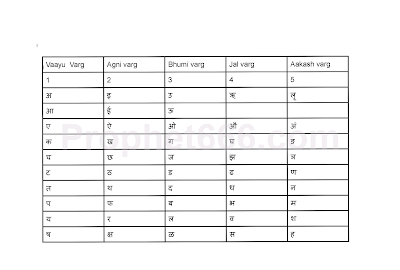 If the Mantra Nakshatra is 1,2,4,6,8,9,10,11,13,15,17,18 or 19 from the Sadhak's Nakshatra then the Mantra is favourable and Sadhak can get success. B. If it is 3,5,7,12,14,16,21,23,25 then Sadhak will end up destroying himself or even die. Indeed Mantra Sadhana is really long and complicated. The things that I have shared tool now and going to share in future are irreplaceable part of a Sadhana. The way air is important for a human, the same way all Sadhana rules are necessary and inevitable. Such knowledge is not known to the general public because it only shared by gurus to their disciples. Hence it is said that having a Guru is utmost necessity for a Sadhak. This is all for the first part. -for any mantra purashcharan procedure,in how many days we should complete everything which include japa,havan,tarpan,marjan and daan. Sir, thanks for sharing such a secrete and rare information. Sir, how to know Rashi & Gana of God? I have read the Mahakali chalisa and prayed to Mahakali For give me guidance and she gave me a mantra , Jai Mahakali maa, Thank you Mr Neel and Mr Ashok Mehta. 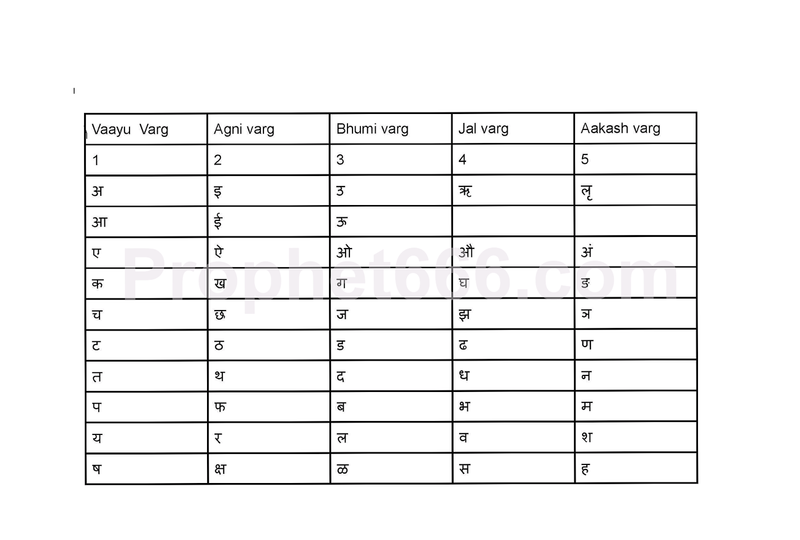 i don´t see several letters in the Gana and Nakshatra chart sir. How can we correctly use a Rudraksha mala for counting purpose (108 beads)? I mean, it is suggested that during mantra chanting mala shouldn't touch ground. If we sit in half lotus position and hold 108 beads mala then it will definitely touch the ground and at the same time it is not possible to hold our hand midway towards our heart area and hold it for long as it will start hurting during middle of mantra chanting and leads to distraction. I am unable to get any satisfactory answer to this question and that's the reason i avoided using mala for counting purpose and counting number of chants using my fingers only during meditation. Pls use small beads rudraksha mala. in kulaakul chakra your name is in aakash varg. The 11th letter in nakshatra and gana chakra is "च"
I have shared these articles so that people can look at these chakras and choose mantras themselves without help of a guru. There are crores of mantras in hinduism and I cannot go through every mantra for one person. I myself am very busy. The purpose of sharing these chakras and other knowledge was that people can decide the mantra themselves after referring to the chakra.If everything I will tell then what is the meaning of sharing these chakras and so much information on mantra sadhana. The images are not clearly visible. Can you kindly re-upload better quality images, so that we can benefit from this article? Thank you. click on the images, it will open in other window and you will see it clearly. Which name to consider if anybody has two name like official name and nick name?